Robert Cummings Neville offers a new theology of the ultimate and a new theory of religion to back it up. The first volume in a trilogy, this book and companion volumes treating existence and religion advance a systematic philosophical theology to address first-order questions found in the array of Axial Age religions. Questions generally arising in the major religious traditions are interrogated with a dialectic of philosophical approaches. 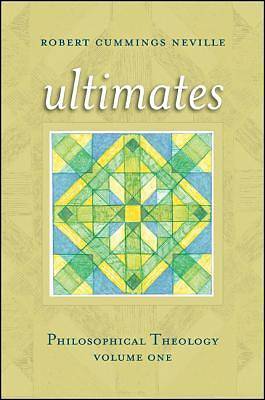 This volume begins the project with a consideration of ultimacy defined philosophically and illustrated in a wide range of traditions. To the question of how or why there is something rather than nothing, Neville answers with an elaborate hypothesis about the ontological act of creation that creates all determinate things as related to but different from one another. The result is the claim that there are five ultimates: the ontological act, the form of determinate things, the components of determinate things, the existential location of determinate things relative to one another, and the value-identity of ultimate things, giving rise to five universal religious problematics of ultimacy respectively: the question of existence, the ground of obligation, the quest for wholeness, engaging others, and finding meaning. Neville analyzes what can and cannot be known about each of these ultimates. Readers will find Neville s theory of religion and philosophy a bold one, running counter to dominant trends while richly informed by a long and fruitful engagement with theology, philosophy, and religion, East and West."